Available as a deluxe 3LP & 3CD Box Set. BUY HERE. 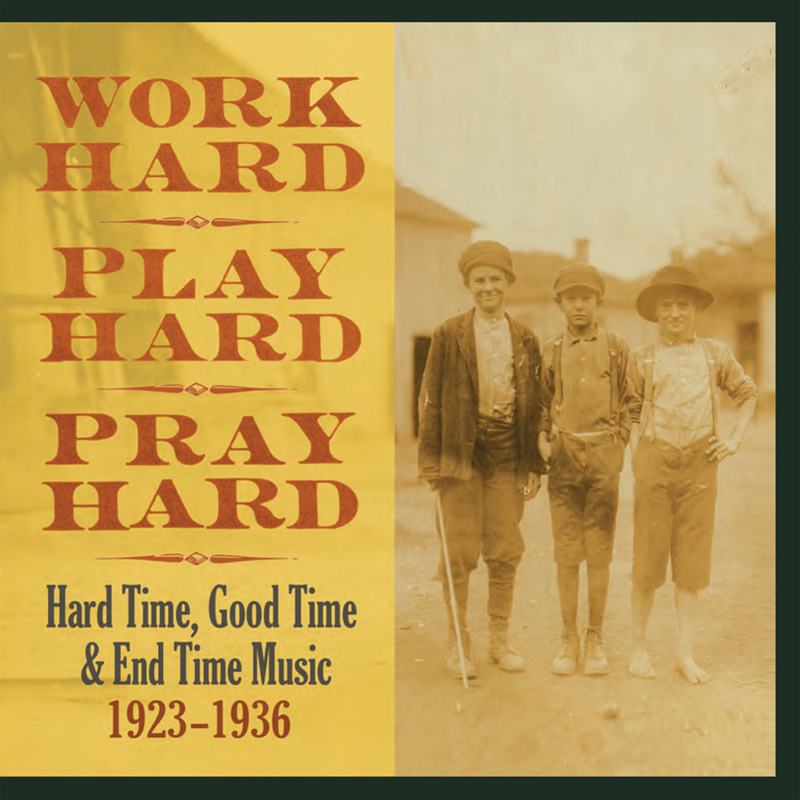 Work, play, pray – the lifecycle of the rural America that created our greatest generation of country music, 1923 to 1936. These volumes survey songs of labor and occupation, hardship and loss; dance tunes, comic numbers, and novelties that provided distraction and fun; and the hymns and sacred pieces that reached beyond the raw material of daily existence for something enduring. Work Hard, Play Hard, Pray Hard features 19 previously un-reissued sides and is largely drawn from the collection of the late Don Wahle of Louisville, Kentucky. A hillbilly 78 collector for many years, his records were hours away from the dump when producer Nathan Salsburg recovered them. Compiled and annotated by Salsburg with accompanying essays by Sarah Bryan(editor of the Old Time Herald), Amanda Petrusich (New York Times; author of It Still Moves), and John Jeremiah Sullivan(Southern editor of the Paris Review; author of Blood Horses and the essay collection Pulphead).